When I was a social work intern at the Rocky Mountain Children’s Law Center in 2009, I was able to spend some time learning from Carol LaRocque, who was running The Dandelion Project at the time. I remember standing in the beautiful garden that she and the youth had created, feeling the joy and passion of every person (and plant!) involved in the project, and wanting, more than anything to be part of it. As a person who loves working with youth, gardening, and is a staunch believer in the therapeutic benefits of gardening, The Dandelion Project felt like a perfect match for my hopes and dreams—even years ago. That being said, I can’t even begin to articulate my excitement that the Children’s Law Center is allowing me the opportunity to relaunch The Dandelion Project this year. I have spent the past several months researching the history of The Dandelion Project—its locations throughout the years, the youth who were involved, the women who directed the program, and the various community partners throughout Denver. What I have found is nothing short of magic. It is incredible to get to hear the stories and see the photos of young people involved with the garden during the initial years of the Dandelion Project. 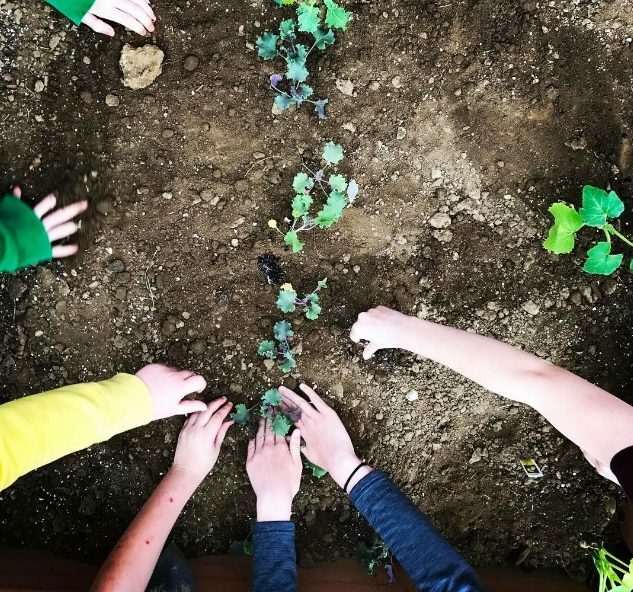 I love hearing about the impact the program made on youth as they spent time weekly in the garden—a safe, consistent, inclusive space where they learned how to grow vegetables, create community with other youth who had similar experiences, and experience the healing benefits that gardens naturally generate. I have enjoyed learning from community partners about their memories of the innovation of Dandelion. Volunteers from decades ago have reached out to me as they want to re-engage. This year has taught me that the enthusiasm about Dandelion Project expanded vastly beyond just my own passions—it meant so much to so many people and, as such, created that much more momentum in the program’s revival. After learning about the years of Dandelion in our past, we also have begun to work towards its future. In fact, The Dandelion Project is making excellent headway in being fully resurrected! We are working with Adolescent Mental Health Court in Jefferson County to coordinate with the youth in their program to participate in our garden. The professionals in this specialty courtroom have worked for years to establish a gardening program for their youth. They believe in this type of creative program as much as we do—it’s an excellent match for both of us! Also-after many months of working to establish a space for our garden, we have finally found one. In fact, we broke ground last week! We are partnering with Sprout City Farms, a local non-profit that has cultivated urban farms in order to create access for all communities to have access to fresh produce. Sprout City Farms creates many opportunities to engage local people (including many youth of all abilities and backgrounds) in community building through growing food! Sprout City has generously allowed The Dandelion Project to utilize a portion of their space at Mountair Park in Lakewood. Click here to learn more about this cool non-profit. We are in the final stretch of getting this program up and running. A HUGE shout out to Carol LaRocque, former director of the previous Dandelion Project. She has been an amazing support, full of insight and ideas as we get the Dandelion Project relaunched. She donated a huge assortment of plant starts to us yesterday and they are just about ready to go in the ground. Cheers to the Dandelion Project. And Happy Growing!